"A set of armor worn by the Brotherhood of Adyrqamar, known for their dislike of shields. 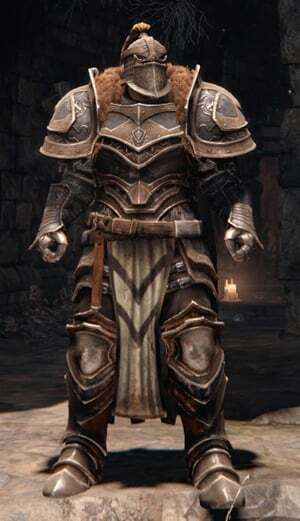 The armor is designed to wield two-handed weapons easily. " 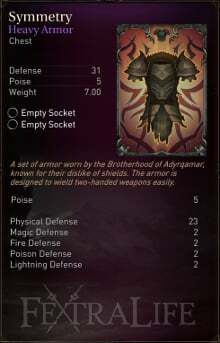 Obtained From: A chest located on North Wall (Keystone Monastery), near 3 Infested enemies. 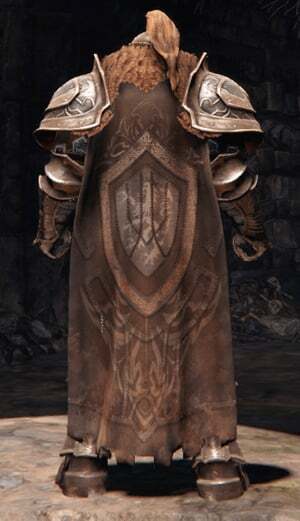 Notes: This armor set is using the same model as the Will armor set, but with a different color scheme. 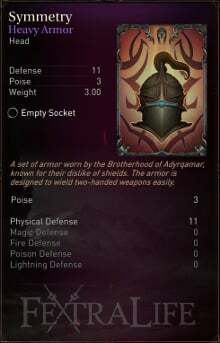 It is the only heavy armor set with 5 rune sockets. 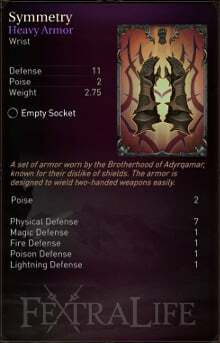 Set Bonus: Boosts damage by 15% when wielding any weapon with two hands.